We are extremely pleased to welcome a new Education Officer to the National Park, Jonathan Dean joins us with several years of teaching experience, both in and outside of the classroom. 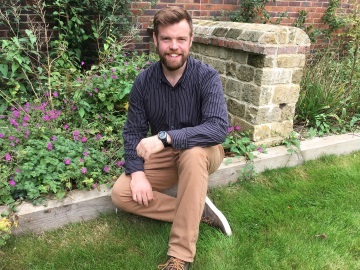 Most recently he has worked as an education officer for the New Forest National Park Authority and is looking forward to exploring the huge variety of outdoor learning opportunities in the South Downs over the coming months. If you want to discuss how your school can make the most of learning outside in the South Downs or share your stories and successes with Jonathan, or if you’d like to show Jonathan around your education centre, he’d love to meet you. Please email him directly on Jonathan.Dean@southdowns.gov.uk. Having done an amazing job setting up our education provision, our previous education officer, Hannah, has now moved on to pastures new.